I have a confession. 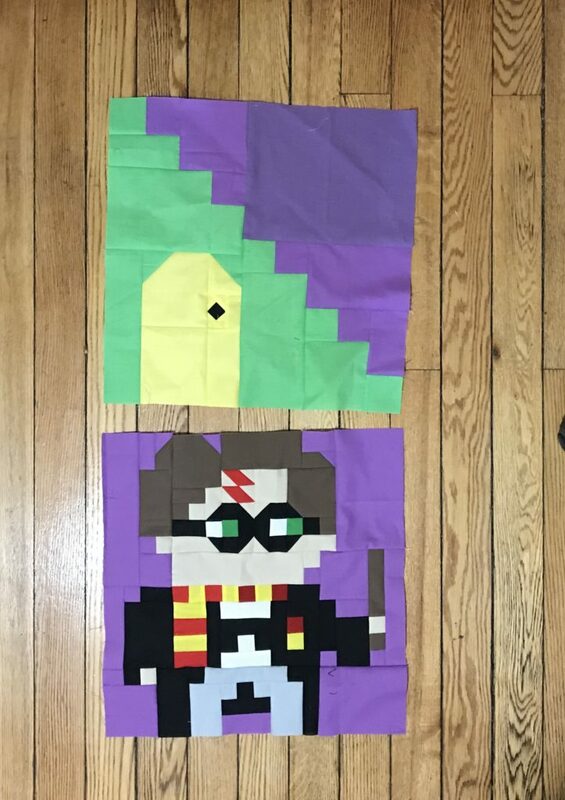 I haven’t read all the Harry Potter books, but I’m now making two different Harry Potter quilts. I’m currently listening to the Prisoner of Azkaban audiobook with my 15-year-old son via Audible. I’m a voracious reader. I originally waited to read the Potter series with my kids. I started reading the first book in the series to my son when he was in second grade. After a few nights of reading at bedtime, he finished the book on his own, and then devoured the entire series. Ever since, he’s been a wildly enthusiastic Harry Potter fan. He’s listened to all the audiobooks multiple times, and watched all the movies. 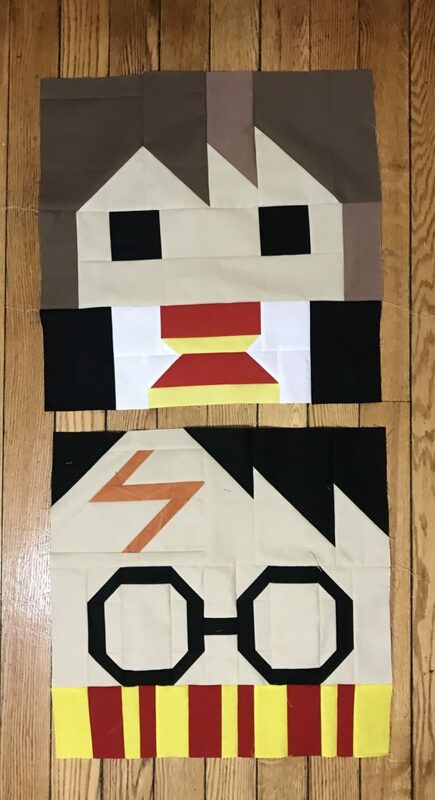 Despite my own lack of Harry Potter knowledge, when I spotted not one, but two, different Harry Potter quilt-alongs, I couldn’t resist. Kelli Fannin of Seriously I Think It Needs Stitches and Lorna of Sew Fresh Quilts started two different Harry Potter quilt alongs in January. Why do both? Because I’m sew crazy, and quilt obsessed. I figure when I finish these, my son will have two different quilts that he can rotate on his bed. Both these quilt-alongs are absolutely free – patterns are released every Saturday morning. 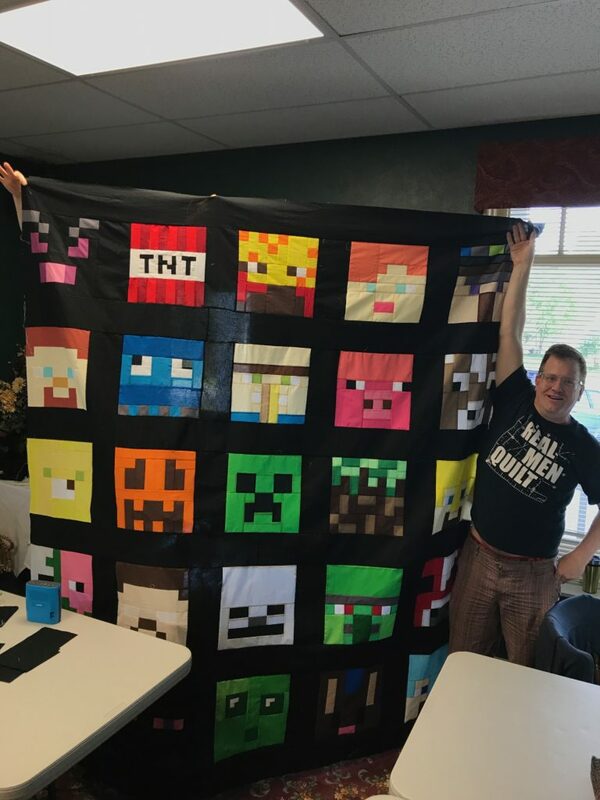 Also, Kelli Fannin designed an earlier Minecraft quilt-along. 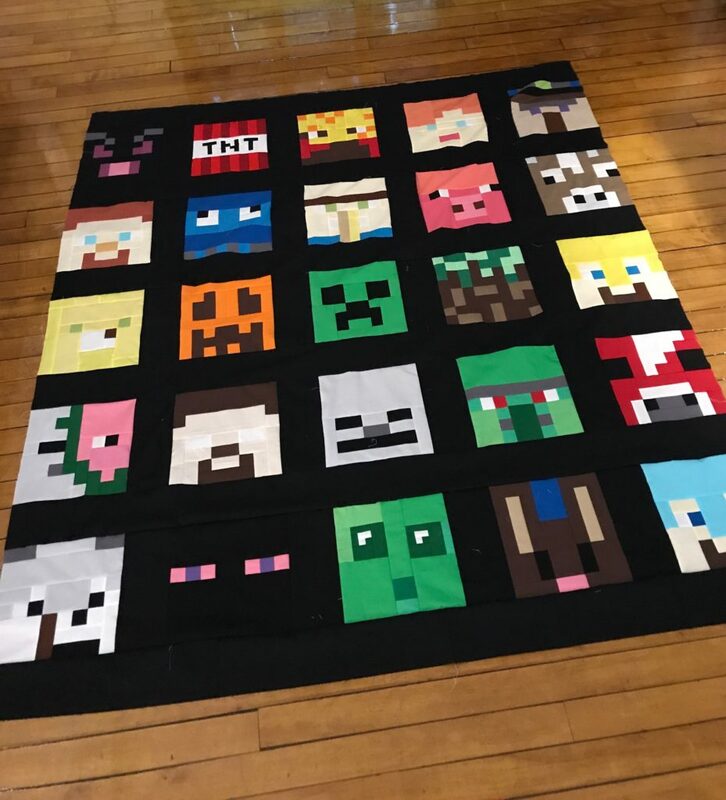 I sewed two Minecraft quilts from her quilt-along. I’m embarrassed to say, I finished piecing the tops, but I haven’t quilted them. One thing that I’ll eventually write about on this blog is finishing. 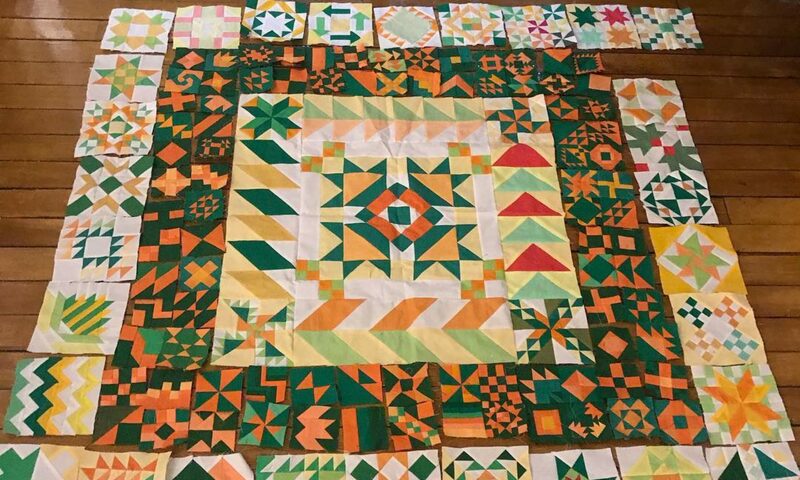 I love piecing, but I find quilting on my domestic laborious and time consuming. I could pay for a long armer, but my budget doesn’t allow that right now. However, I’m determined to finish all my unquilted quilt tops within the next 18 months or so. Stay tuned.